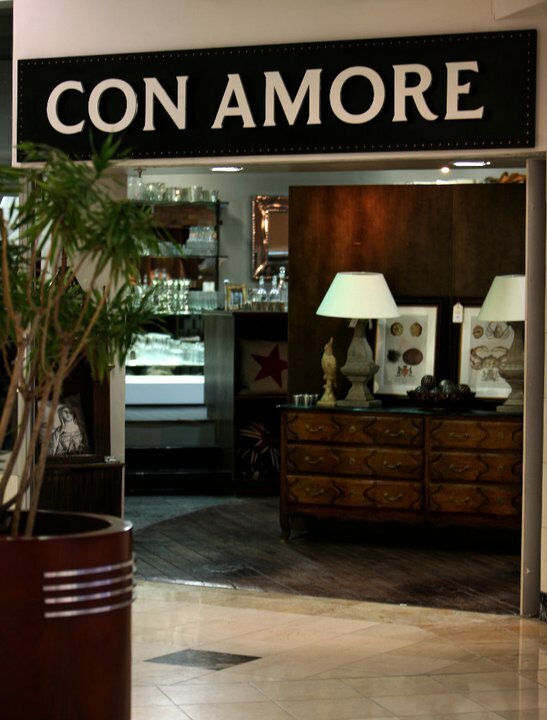 Italians sign off their letters, love-letters, and postcards from far-flung places with the iambic duet, "con amore" - "with love". The owners have chosen this simple but passionate pairing of Italian words as the name for their international lifestyle brand simply because they embody the essence of what their brand is about - the things we love. 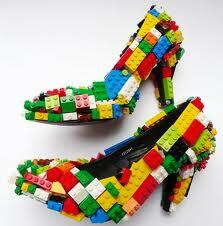 Or more specifically, products that they have sourced with passion and which they will sell with passion. 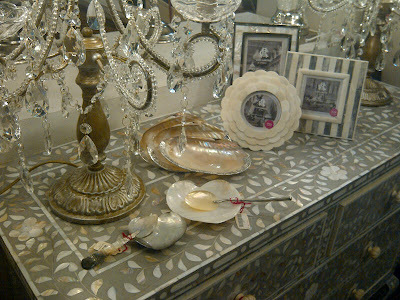 The items below caught my eye and I especially liked the Eau de Cologne bottles and the shell spoons. 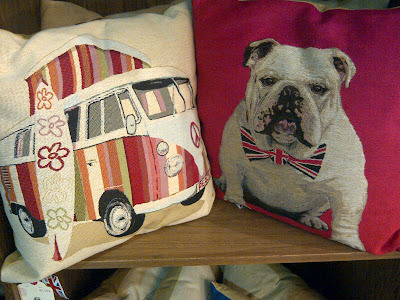 I am also contemplating the Winston Cushion for my 19 year old, son's bedroom, as it somehow reminds me of his face,especially when its time to wake him in the morning! 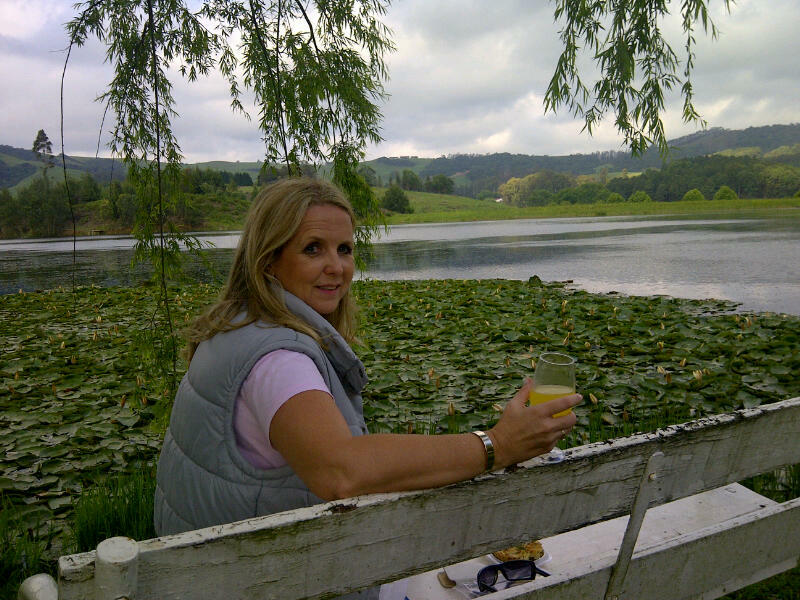 This is the fourth and final part,I promise to my Midlands Meander adventure! The Sunday dawned, as another lovely sunny day and off we set on our final day doing the Midlands Meander. 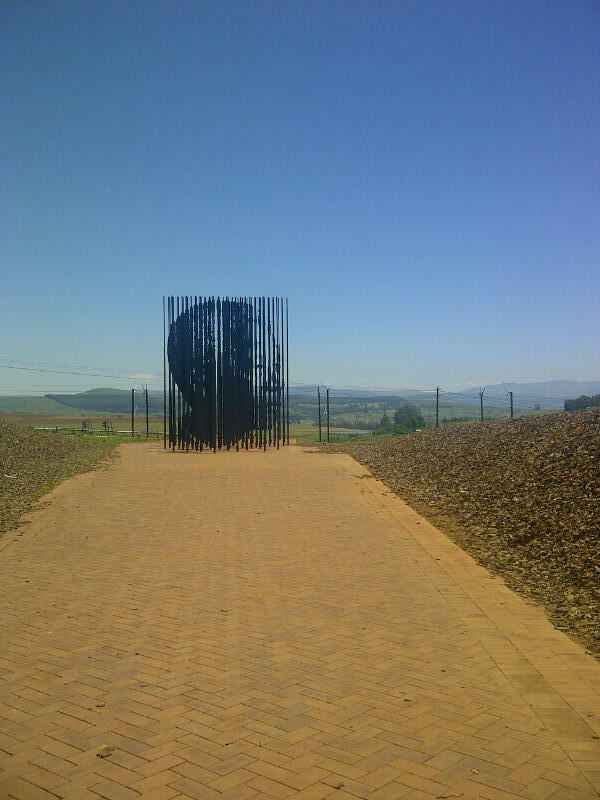 First we headed for the Nelson Mandela Capture Site & Museum which was opened in August this year and is situated on the R103, the old main road 5km from Howick, This is where he was captured on his return journey to Johannesburg. This is a moment and place in the history of South Africa, which has enormous significance. The uMngeni Municipality purchased the property opposite the actual capture site and there you will find this multi-purpose heritage site. Marking the 50-year anniversary of what began Nelson Mandela's "long walk to freedom" A 50 steel column constructions up to 9.5 metres tall was commissioned.The columns come into alignment to form a portrait of Nelson Mandela against a backdrop of rolling hills and valleys. 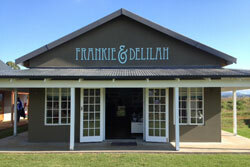 Definitely make a plan on your Midlands Meander to visit as it interesting! 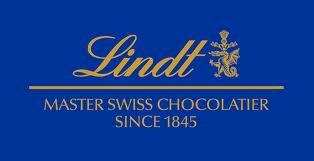 After all that history I was in need of a chocolate fix! so off we went to Florentines Belgium Chocolate. I am not sure if this is part of the official meander, but Its always a pleasure to walk into this chocolate shop, as the cold air from the air conditioner hits you immediately. What a lovely feeling after being in the heat and sun of the day. Oh my! 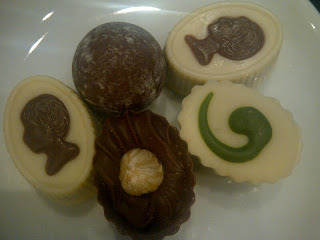 this is a "chocoholics" heaven....displays of handmade Belgian chocolates,truffles,pralines...how could I resist? You select your "sins" weigh and then pay, but beware that you don't go overboard otherwise your purse or even credit card will feel it!! 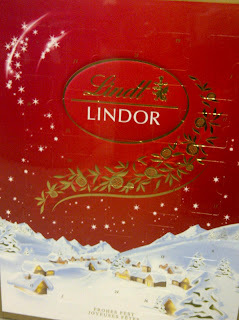 Feeling quite content after a few "choccies" as I had to eat them all otherwise they would have melted in the car...so what else could I do? Next stop was Tsonga for some more "retail therapy". Tsonga shoes are "home grown" in Kwa Zulu Natal and each pair of TSONGA shoes are hand-stitched by the local village craftswomen. They have a shop where you can buy their bags and shoes, but the prices are the same as in their shops that they have around the country,so don't expect factory prices! I must say now... that not all of the crafters and stop offs are worthwhile, but it is all a matter of taste, so I advise you to buy the Midlands Meander booklet R5 and its available everywhere,so you can plan your day,route and visits carefully..otherwise you can waste precious time....a weekend away, as we did was ideal and we managed to combine what we wanted to visit and some R&R time. There is plenty of accommodation to choose from, to suit all tastes budgets, but even to do sections of the meander in a day trip also works, but either way.. 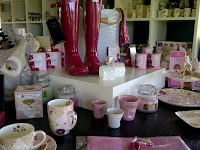 I hope you enjoy your meandering around the Midlands! 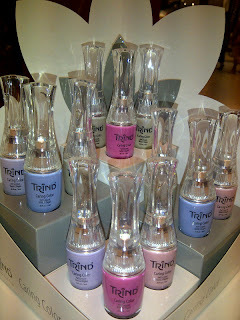 Trind Cosmetics is a Dutch company which develops unique products in the field of hand and nail care and is a range that I love! The Trind Caring Color Line offers a fascinating palette of fashionable shades for fabulous nails. Color Lacquer that has specially been developed as a maintenance system. 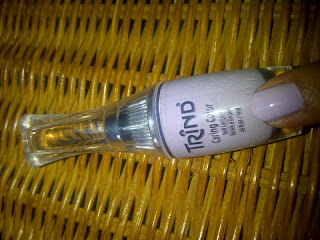 They have recently launched a Limited Edition Spring/Summer 2012 Colour Range and I tried the lilac colour. The colour goes on nicely, but as with most pale colours you need to apply two coats for overall even coverage. It also seemed to dry quicker than other brands that I have used and "so far so good" with regards to the "chip" factor. "Glitter Glitter on the wall who is the "Blingiest" of them all? 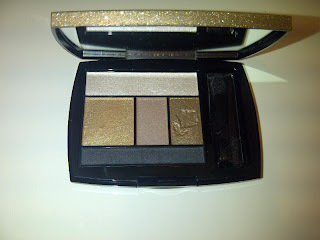 Well that honour must go to the 2012 Holiday Beauty Box from Lancôme! This bag literally does "outshine" the rest in appearance. Following on from the Estee Lauder and Elizabeth Arden Holiday offers that I wrote about recently, I found this wonderful “Beauty Box” from Lancôme. It was the gold vanity case that first attracted my attention, as it really does sparkle, but unfortunately the photo does not do the “Bling” effect justice ! This collection differs from the Lauder and Arden offers, as it contains four skin care products, one being a full size Bi Facil Eye Make up remover for sensitive eyes and three deluxe sizes of other popular Lancôme products that can be used by all skin types. The only exception is the pale foundation colour which obviously will not suit all skin tones. 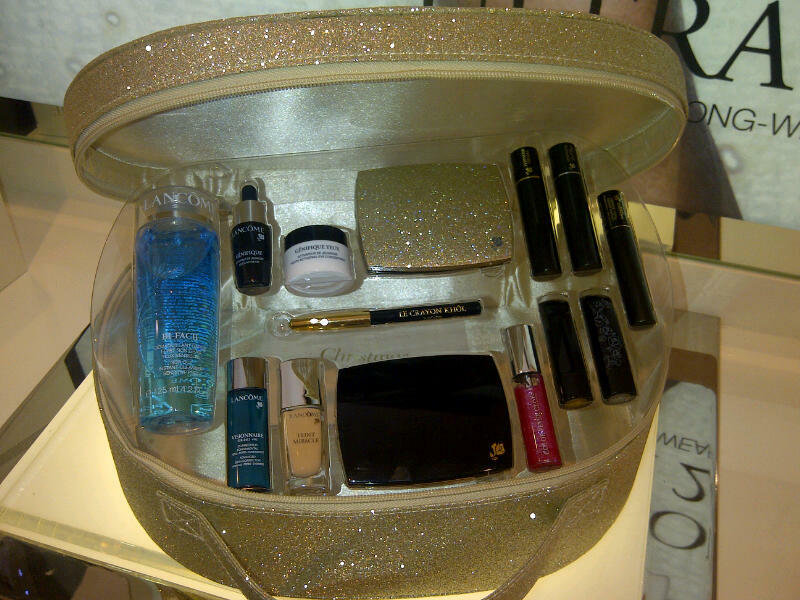 The offer is available at selected Edgars only and the “Beauty Box” sells for R960, yet it is valued at R2100, which I think is a great offer and I love the vanity case ! I'm sensing that I am getting a reputation for being the "Exfoliating Queen" but I cannot help it as I do passionately believe that one of the key products to anti-ageing, is the weekly use of an exfoliator or scrub! I worked many years ago with Guinot products, back in the day when it was called René Guinot named after the founder, who was a pioneering French biochemist in the 1960s.He realised that extracts of plants and fruit could slow down the skin’s ageing process. Over the years the name René has been dropped and now it is just known as Guinot..
What I instantly noticed was the distinct lack of any “fruity” smell despite the product containing Natural Fruit Acids, the product is fairly neutral in its aroma. Only a small amount of the pearly gel is needed, as I discovered when I squeezed too much out, so therefore ended up using the product not only on my face, neck and décolleté, but way down on to my chest…..The gel is to be massaged and worked into the skin and as you massage the gel becomes warm and more emollient….and quite miraculously turns into an oil. You must massage for several minutes and then rinse with water and carry on with your usual routine. 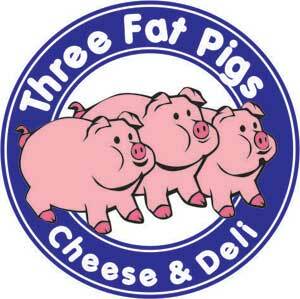 Use once or twice a week is recommended. 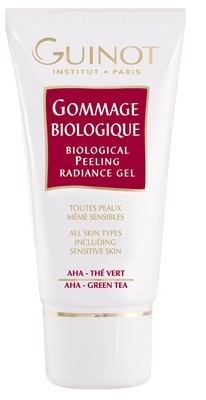 This Radiance Gel does not work on the same principle as most exfoliators do, as it has no granules or grains to mechanically remove the dead cells, but rather the gentle fruit acids exfoliate the skin and activate cell regeneration. It also contains Shea Butter which is great for nourishing and moisturising and Green Tea. 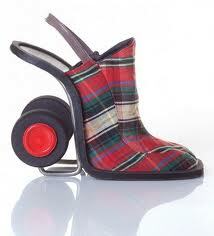 Unfortunately not, but only due to the fact that I am not the correct candidate for this type of peel! Yes! 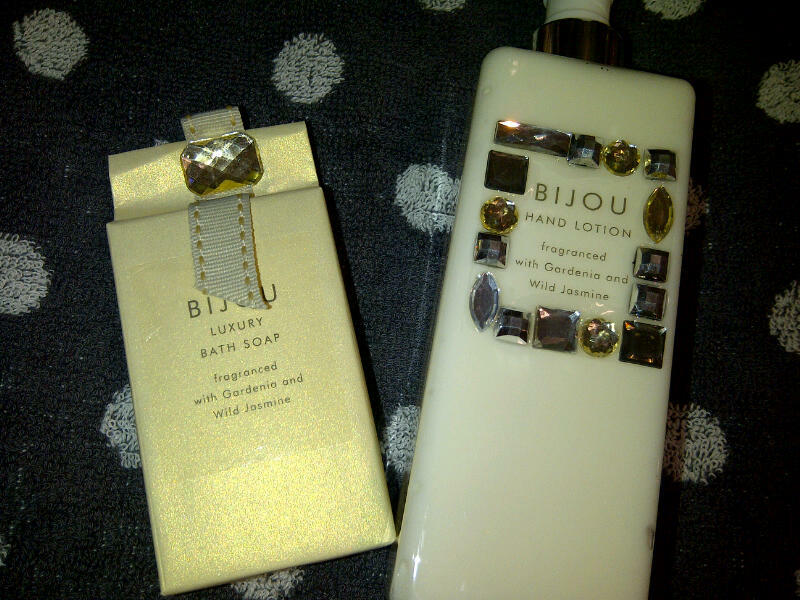 as it was easy, enjoyable & gentle to use and did leave the skin smoother & looking more radiant. 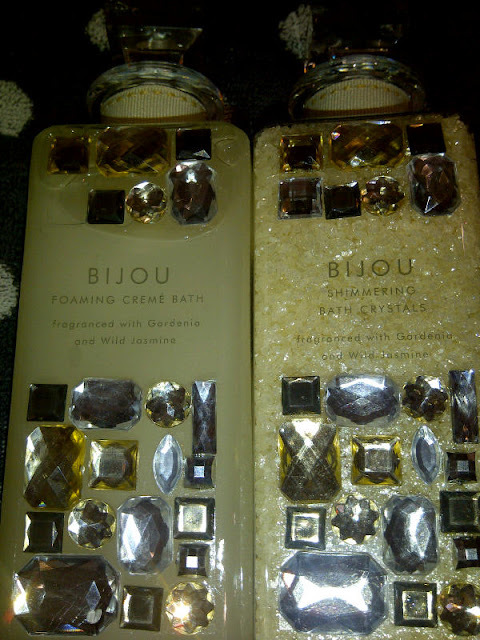 It's perfect for a sensitive skin or if you do not like the conventional granulular types of exfoliators. 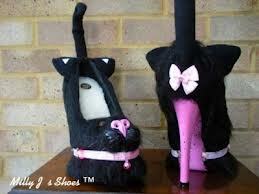 This is the last of the "Weird Shoes" post, but next week I am starting "Weird Hats"...lol..enjoy! I recently attended the relaunch of the Woolworths store at the Gateway Theatre of Shopping, as it has been going through a transformation over the last few months...and finally its finished! 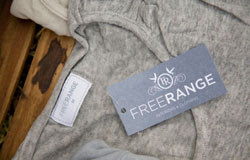 This evening event was open to VIP's only, which meant that we had free reign to wander around the whole store and shop till we drop..well 10pm, with far less customers than normal...and it was great!! Lovely eats and drinks were provided along with this very generous "Goodie Bag" and a discount voucher to encourage a big shop!A good evening was had by all and a couple of these products below will be reviewed in the future....the only exception being the biscuits, as they have been "chomped" and I cannot remember how good they were...maybe there lies the answer, as they obviously weren't that memorable! 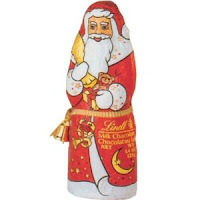 To all "Chocoholics" alike and there are plenty of you out there, I thought I would bring you some of the Christmas offerings from Lindt...The Master Swiss Chocolatier since 1845. 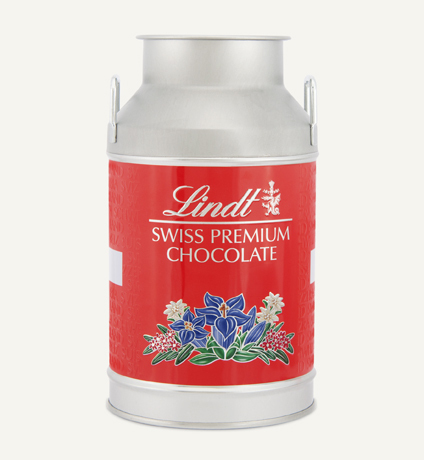 Lindt is my chocolate of choice here in South Africa, but the selection of brands is limited..and the options like Beacon and Cadbury's don't really do it for me! 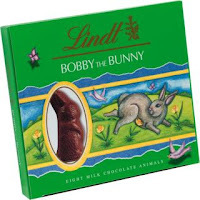 I have a long association with Lindt, as a child back in the UK, my best was a box of eight Lindt Chocolate bunnies or bears. I just remember at the time thinking how smooth and creamy the chocolate was. They still manufacture them and obviously the packaging has changed slightly and they have now named them Bobby the Bunny! 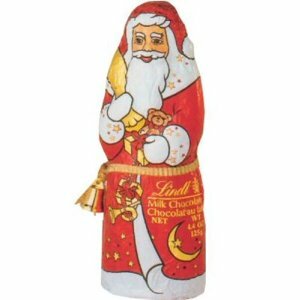 Christmas would not be the same without getting either a Lindt Chocolate Snowman or the Santa, with his special bell, on Christmas day. My collection of those little gold bells on red ribbons grows every year, as you can't throw them away now can you? So, on the tree they go year after year! 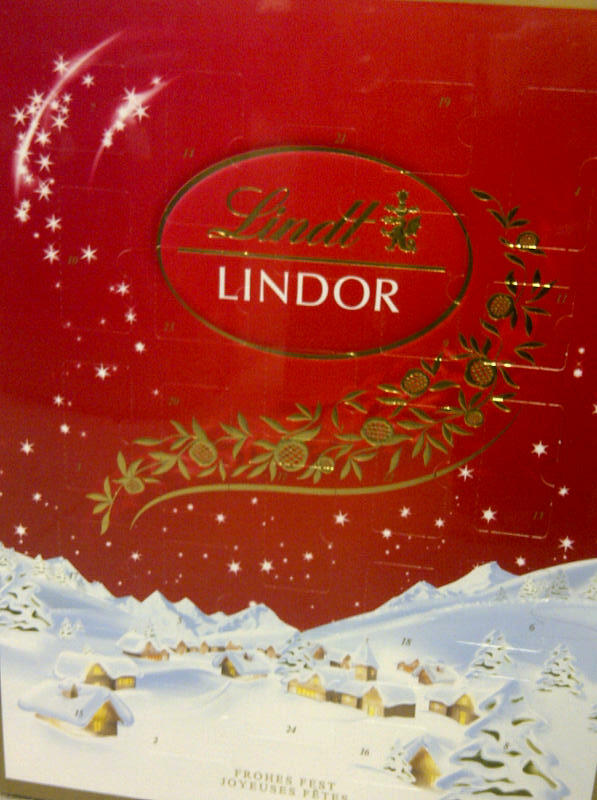 I have never seen a Lindt Chocolate Advent Calendar before and I got quite excited when I saw this in Woolworths, but at R249.95... even "I" thought it was a little expensive, but how nice it would be to find your little daily fix of Lindt behind every door. I was excited to try this new Lauder fragrance ,especially when I had read that it contained Freesia...as this is one of my favourites! This beautiful smelling flower is often used in bridal bouquets and straight away, as I sprayed, I could pick up on the fresh Freesia top note....and guess what, it immediately transported me back to my Wedding day...and I knew immediately that I would like "Very Estee". Very Estée is a luxuriously feminine & sophisticated fragrance. 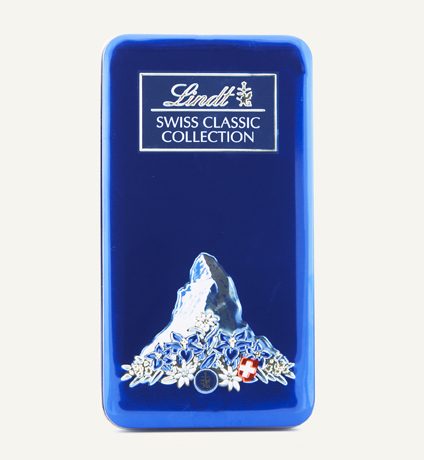 The alluring appeal of the modern woman is captured in the freshness of Lotus and Freesia. It is classified as a Floral,Woody, Musk fragrance. After my initial excitement of the Freesia, it settled to be, exactly what they said it would be, a floral middle note and a musky "dry down". Other ingredients that I enjoy are Bulgarian Rose and wherever you see Cedarwood in the base note you know that it will have some "staying power". 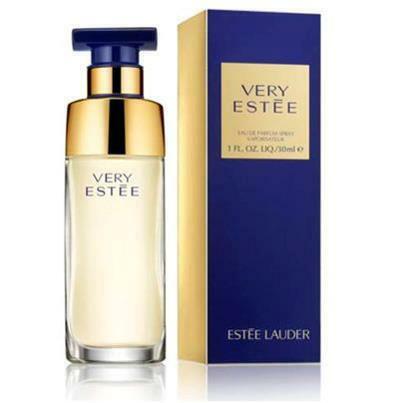 Very Estee is only available in an Eau de Parfum format and on me it developed into a warm fragrance, so personally I could only wear this fragrance during the cooler months in South Africa, as during the heat of summer it would be too much! As with all fragrances you must try for yourself....and let me know your thoughts! Available at all Estee Lauder stockists. Opposite St Ives is where you will find the Piggly Wiggly Country Village,which is perhaps the most visited place on the Midlands meander and has enough to occupy you and the "kiddiewinks" for several hours..and is a "must" visit.The village is a mix of eating places, arts, crafts, clothing and decor outlets. 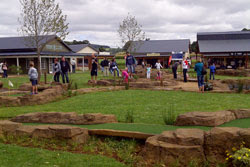 Recently a "Piggy Putt" was added and forms the centre piece,which is in pristine condition, as is the rest of the village. 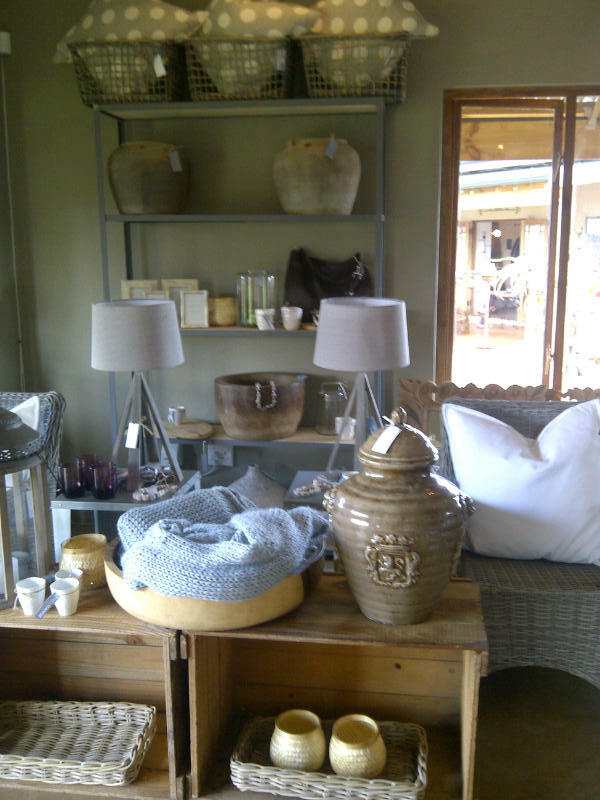 One of my favourite shops in the village is Free Range Interiors & Clothing...where each item is carefully sourced to offer the shopper an exclusive and unique purchase.They offer Go to town - country style, classic & comfy ladies clothing. Their decor items also reflect the same style..
Frankie & Delilah stock a wide range of beautiful and different gifting items. 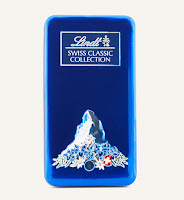 They are also official stockists of Trollbeads, Ice Watches, Havaianas, Hunter footwear to name but a few of their international brands. 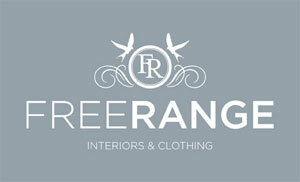 F&D has two other branches in Morningside and Bryanston, Johannesburg. A visit to Piggly Wiggly would not be complete without a visit to the "Three Fat Pigs Cheeses & Deli", but again be warned that you will not be able to resist their selection of local cheeses,chutneys,pickles and the home baked breads,pies and quiches....all of which are very yummy! 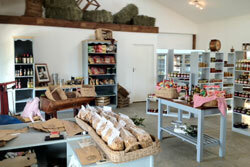 This is where we bought all our "goodies" for our picnic on our "Sundowner Island" back at Beacon Vlei. Armed with our "foodie" purchases, which were enough to feed a "sty full of pigs" we headed back to the guest house to have our picnic and open a bottle of Woolworths Bucks Fizz! Their we sat and watched the sun go down and this rounded off a lovely day spent on the Midlands Meander..
A perfume is a combination of fragrance components each with different degrees of volatility. The different scent ingredients are called “notes”.A good quality perfume is a delicate blend of top, middle (heart), and base (bottom) notes. 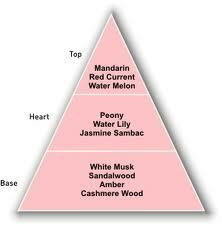 The shape of a pyramid can best illustrate the development and longevity of scent on the skin. 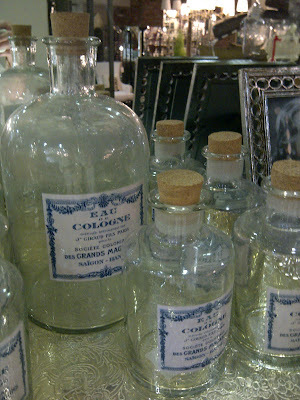 The evaporation process of a perfume is from the top- the very lightest and most volatile, to the base- the most stable. The process should easily flow from one stage to another. A fragrance that “falls apart” in stages is poorly formulated and badly constructed. The beginning should be neither too strong nor too discreet and played by a few carefully selected top notes which awaken the senses and attract the attention. Then come the softer, mellower middle or heart notes which blend together to prolong the effect of the initial top notes or create a complete contrast. The masterpiece ends with the lingering presence of the base notes which create the memories of the perfume. 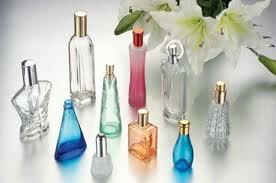 The life of a fragrance on the skin, the development from top to bottom notes, is called “dry down”. So when you are next trying a new fragrance remember to allow the different notes to develop before you rush into buying! The fragrance must be one that draws you "in" and if you keep going back to smell your wrist constantly, then the chances are its the "one for you". 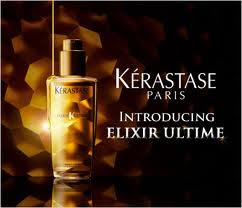 Firstly I must say that I am very cross with regard to this post about the Kerastase Elixir K Ultime Oleo-Complexe product.....and it has nothing to do with the product itself, but with my hairdresser Joyce! Shame on you Joyce! 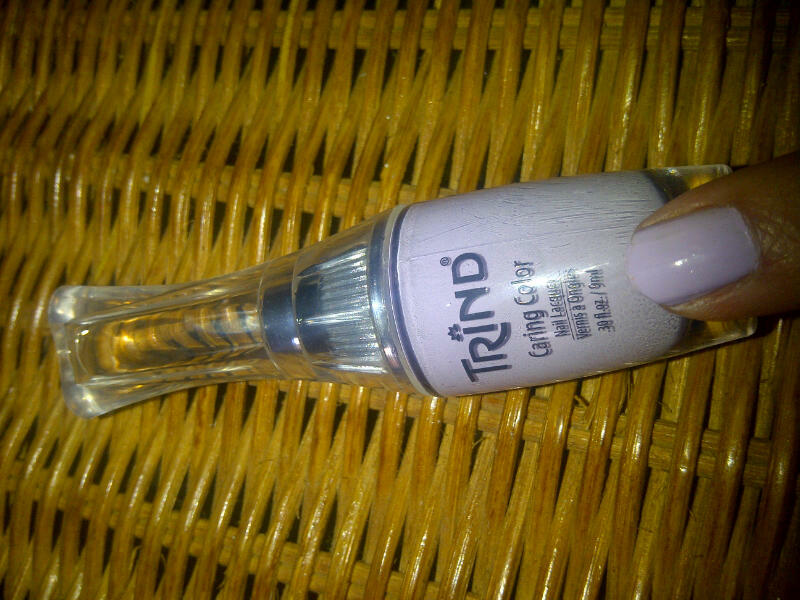 that you only brought this product to my attention recently when I went for my usual highlights and K Mist treatment. I have been a Kerastase customer "on and off" for the past twenty odd years...and "She" casually just mentioned that she was going to use some of the Elixir on my damp hair before blow drying and afterwards as always, my hair felt wonderful. She gave me a sample to use at home and this would be the true test, as to how good this product was...simply because after my visits to Joyce, my hair always feels great and I am never sure if it is the K mist or the treatment products or just the fact it has been professionally washed and dried! Before I used the product I did some research and by all accounts the product has been very well received, so much so, that it has won several international awards and some highly acclaimed rave reviews, so would mine be any different? 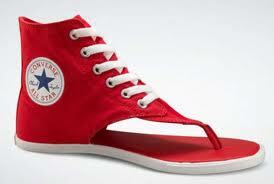 the product to a whole new level, but more of that once its launched in SA. 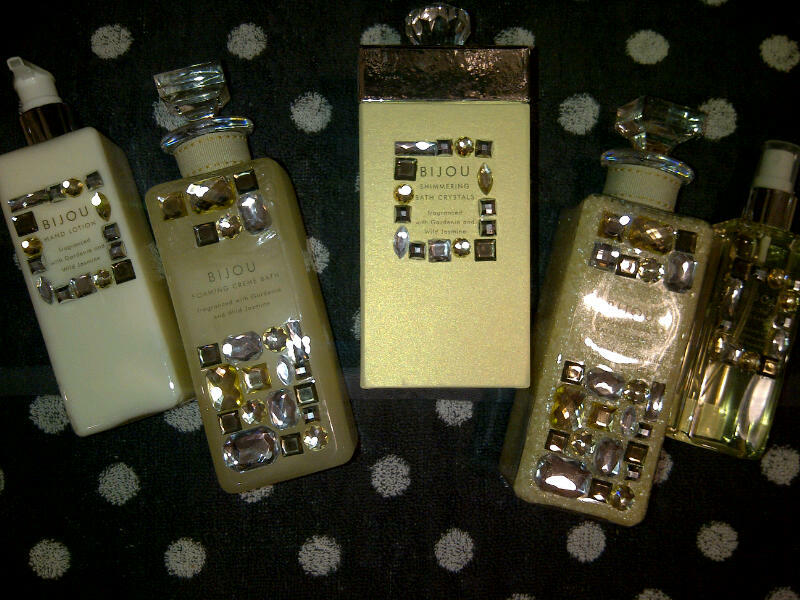 For now though let me tell you about the product itself....firstly the packaging is all gold which immediately give you a sense of "Luxury" and the price is also "Luxury" retailing for R420 for a 125ml bottle....however do not be put off by the price as one drop of this Elixir really does go a long way and 125mls would last me for 6-9 months which would make it very viable for me! from Maize, Pracaxi, Camellia and Argan oils. Maize Oil: Extracted from corn germs of Central America, Maize Oil delivers emollient and anti-oxidant active ingredients for ultimate shine. Pracaxi Oil: Native to the Amazon, Pracaxi Oil brings shine, nourishment and deep conditioning to the hair. Camellia Oil: Harvested in Asia, Camellia Oil helps smooth the hair fibre, resulting in incredible shine. Use as a finishing touch for enhanced shine and frizz-control. 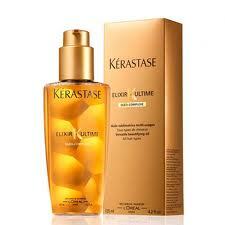 Apply multi-use elixir to dry ends throughout the day for ultimate smoothness. So in answer to my question earlier "will my review differ?" No! I absolutely love this product, as it delivered on all of the above, on hair that has been highlighted,blow dried and ironed for more years than I care to remember.....so much so, it may make my "Must Have" list! 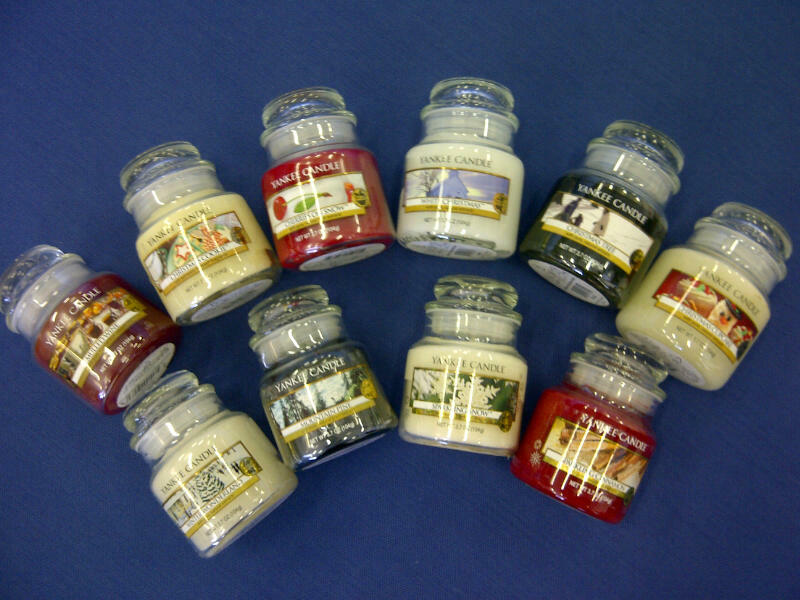 These are the small jar candles which sell for R145 but they do have this collection available in other sized jars.